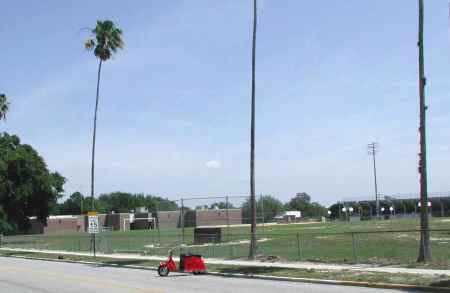 This picture shows all the Cushman Scooters in front of the Winter Haven, Florida High School. 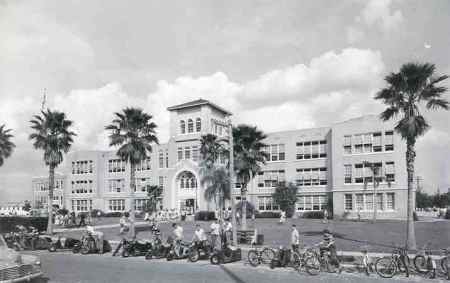 It was taken in 1948 and featured in the School Annual that year. Unfortunately, I am unable to identify any person in the picture, but I did identify one particular scooter.